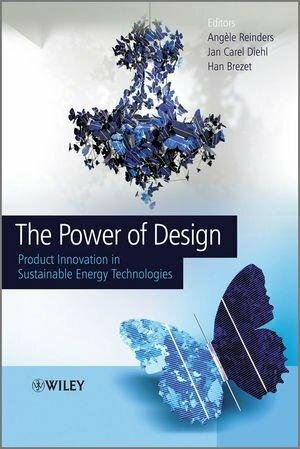 The Power of Design offers an introduction and a practical guide to product innovation, integrating the key topics that are necessary for the design of sustainable and energy-efficient products using sustainable energy technologies. Product innovation in sustainable energy technologies is an interdisciplinary field. In response to its growing importance and the need for an integrated view on the development of solutions, this text addresses the functional principles of various energy technologies next to the latest design processes and innovation methods. From the perspective of product applications, the book provides clear explanations of technologies that are significant for product integration, such as batteries, photovoltaic solar energy, fuel cells, small wind turbines, human power, energy saving lighting, thermal energy technologies in buildings, and piezoelectric energy conversions. The design processes and innovation methods presented in this book include various approaches ranging from technical, societal and creative methods that can be applied in different stages of the design process. The Power of Design provides a comprehensive and visually-appealing opening into the subject for third and fourth year students, postgraduates, and professionals in the areas of energy, environment, product design and engineering.